Who would not love to go to the mall whenever there’s S-A-L-E? Well, admit it, you’ll love to shop more when items are on sale, right? 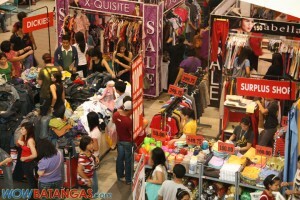 Yesterday, Communications Head, Miss D and I went to SM City Batangas to cover its 3-Day Sale. She also had a hosting gig for the Global Handwashing Day event. Yes, people might not know that part of our work was to enjoy roaming around the mall. Sad to say, we’re not able to shop as we expected (GCs were not accepted when there’s mallwide sale). Oh well, as expected, there are many people craving for lots of stuffs as they are up for grab on discounted prices. 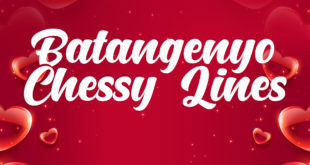 Up to 70% discount on selected items, everyone’s grabbing their own items. Until we left the mall and I saw that people really took advantage of SM City Batangas’ 3-Day Sale. 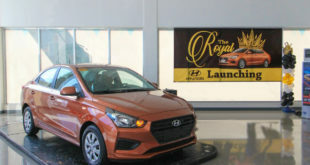 Before we enter the mall to check on the mallwide sale, a short program was held at the mall’s entrance. Dubbed as Global Hand Washing, it was all about the proper way of washing our hands. Respected guests, together with the selected boy scouts and girl scouts, demonstrated the ways on how to wash our hands properly. Good thing that SM conducted a program like this, for it is important for us to learn simple things that can keep us away from sickness. This, by the way, is in partnership of SM Cares, DOH, DepEd, and Uniliver. 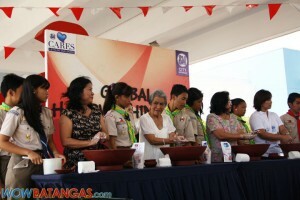 View more photos in the Global Handwashing and 3-Day Sale at SM City Batangas album in our Facebook page.